Parking here is a walk in the park. All the comforts of home. All the fun of Shooting Star Casino. You’ll find them both at Shooting Star’s on-premise RV park. 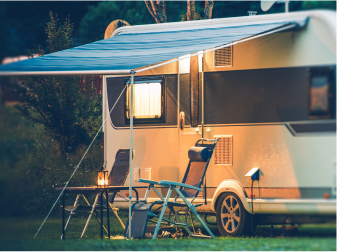 With a five-star rating from Woodall’s Campground Directory, our paved park offers 47 deluxe sites complete with water, sewer and electric hookups, plus shower and laundry facilities. Security patrols monitor the grounds around the clock to ensure your peace of mind.